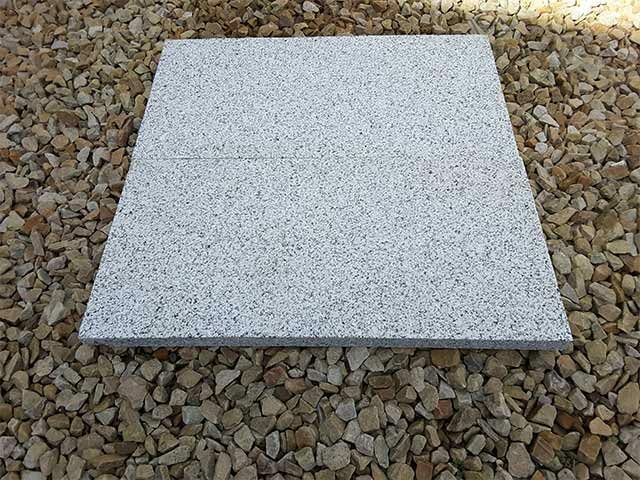 If you’re in the market for a paving stone that is suitable for use in heavily-trafficked areas, the Light Grey Granite Paving Stones are an excellent option for your paving project. 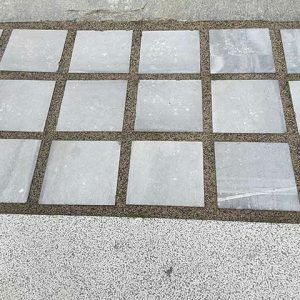 Made from the finest quality natural granite stone, this paving material complements any exterior with its neutral light grey hue and has been used for a variety of residential and commercial applications across Ireland. 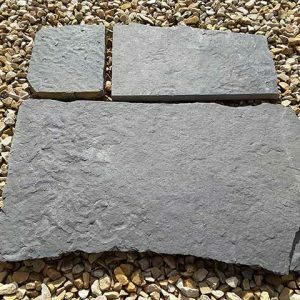 The Light Grey Granite Paving Stone has a bush hammered finish that makes it an ideal walking surface. A bush hammer is a masonry mallet with serrated teeth on its striking surface. When used to finish flat stone slabs, the bush helmet creates a rough edge. 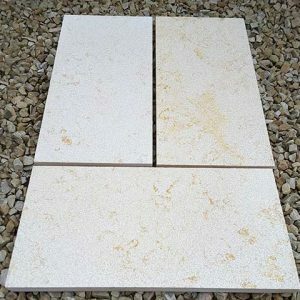 This adds a pleasing texture to the natural stone to enhance its natural beauty. 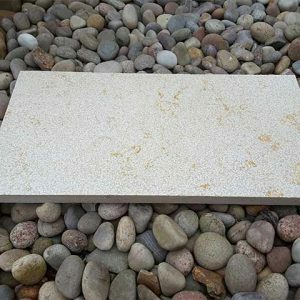 In addition, the bush hammered finish provides some traction underfoot to reduce the risk of slipping, particularly when the stone is wet. 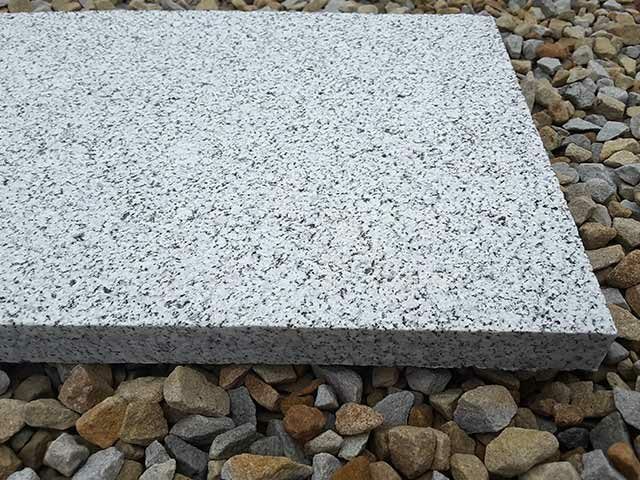 As genuine granite paving stone, Light Grey Granite Paving Stones offer a number of benefits. The stone is one of the strongest available for creating patios, walkways, driveways and other stone paved surfaces. Because it is incredibly hard, it will resist chipping and scratching, and it will wear minimally from year to year. Even in areas where foot traffic is nearly perpetual, such as in a public park, this stone is capable of lasting a lifetime. 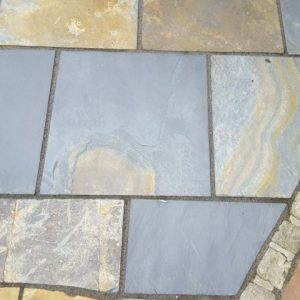 Another major benefit of all granite paving stones is that it is colourfast. 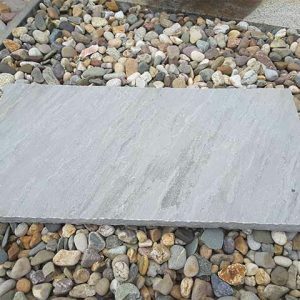 In areas that get direct sun exposure, the stone will maintain its grey colour beautifully. 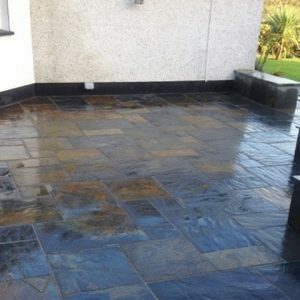 The stone also resists staining and does not require much maintenance from season to season. 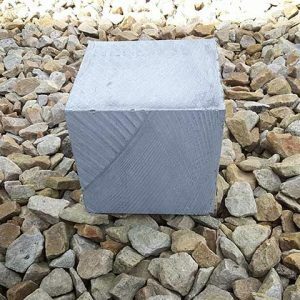 Measuring 3 centimetres in thickness, our Light Grey Granite Paving Stones are available in three sizes: 600 millimetres by 300 millimetres, 600 centimetres by 600 centimetres and 300 centimetres by 300 centimetres. 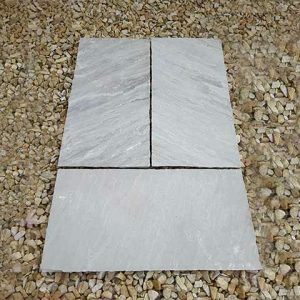 You’ll receive a mix of sizes in each square meter ordered unless you contact us to request a specific size assortment.